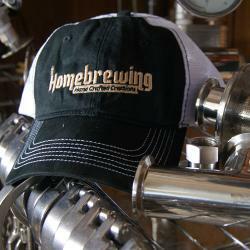 Clothing and protective wearables for homebrewers. You already brew like a pro, so why not protect yourself like one too. 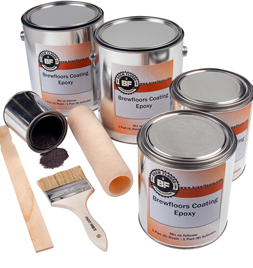 Brew Floors Kit for up to 300 Sq. ft.
You already brew like a pro, so why not dress like one? A clever (or so we think) take on the "Keep Calm and Carry On" propaganda poster created by the British government during World War II. 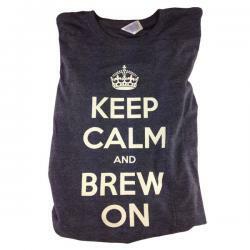 This shirt reminds us here at Great Fermentations, that in times of trouble while brewing, one must maintain their composure and push forward.One must Keep Calm and Brew On. Cheers, Homebrewers! Shirts come in three colors: Heather Green, Heather Navy, and Antique Red. Sizes run from Small through 2XL. Get them while they're still available! 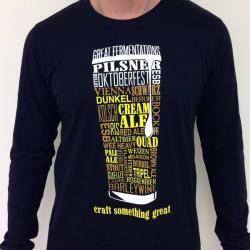 Check out this long-sleeved beer styles shirt from Great Fermentations! 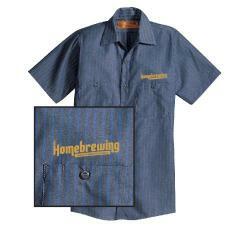 This shirt makes a great gift for the beer lover in your family. Our beer styles shirt has a plethora of beer styles, from Pilsner and ESB to lambic and barleywine, fitting together in the shape of a nice, tall glass of beer! At the top of the glass is our name, and the bottom of the shirt says "craft something great." 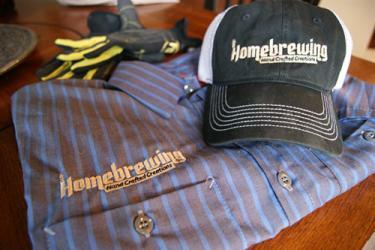 What better way to show your pride in craft beer and homebrewing than saying it proudly on this classy shirt? 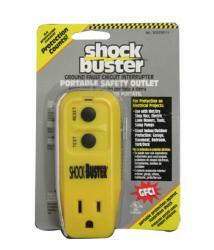 Harmful sanitizers, acids, and caustic chemicals are kept away from your skin. 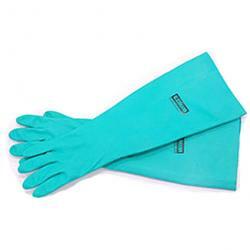 Because gloves can themselves be effectively sanitized, they help you maintain sanitized equipment. 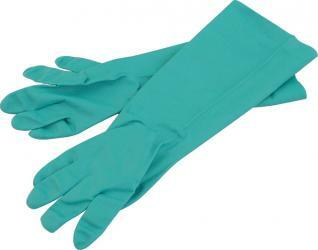 The tear and puncture-resistant nitrile rubber is 28 mil thick - up to four times that of household gloves, while maintaining great feel and dexterity.